I want to help you improve your relationship with your finances—especially if you’re a woman, and very especially if you’re a woman in business. 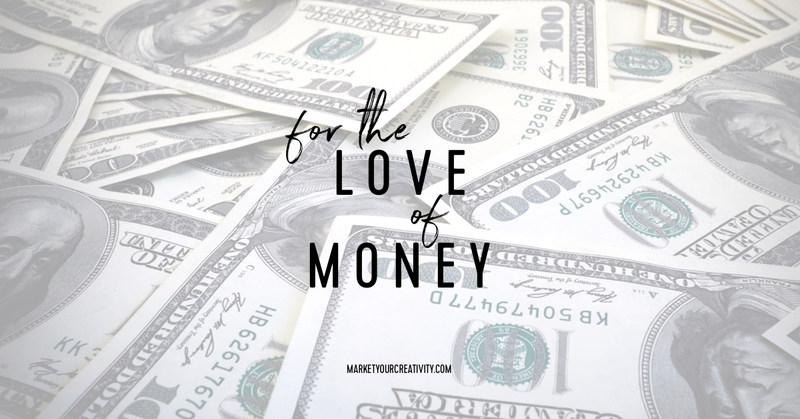 This post is about the love and respect that might be missing between you and your money, and how to build a healthier relationship that involves honesty and trust. I’ve built a course titled Profit Breakthrough, designed to help you master your money mindset and advance it to a higher rank. I deeply believe that it’s YOUR time to have a Profit Breakthrough, shatter your glass ceilings, and RECEIVE more profit in a low-pressure, highly rewarding way. It’s time to master your money mindset and create a new and more successful story for yourself. How you do money is how you do life. As you can see, your money mindset is critical to your success in life. The money story you tell about yourself—whether it’s that clients won’t pay what you want to charge, or nobody will buy your product if there’s a healthy profit included in the price, whatever the story—dictates the actions you take. The following is a passage from Rich Dad’s Guide to Investing by Robert Kiyosaki. Improving your money mindset will change the way you live, change the way you act, affect the decisions you make … it will change everything in a very beneficial way. You’ll create a new normal, and you’ll learn a whole new way to experience in life. Your relationship with money revolves around these six elements. In Profit Breakthrough: the Money Mindset Masterclass, I am going to show you how to create a brand new perspective. When you do the self-work and improve these elements, you change the blueprint of what you believe you deserve, which creates a ripple effect and a richer life. #1 Sense of identity. Someone who makes $28K per year (as I did) versus someone who makes $28K/month (as I do now) are two very different versions of the same person! They think and act quite differently. Money doesn’t dictate sense of identity, but sense of identity certainly impacts how much you believe you deserve to earn. #2 Beliefs about money. Whether you believe you can have a better relationship with money or not—you’re absolutely right. Whether you believe you can charge more and attract high-end customers or not, you’re absolutely right. And whether you believe you’re as worthy as anybody else to the flow of wealth and abundance or not, you’re absolutely right. In fact, you’ll go out of your way to find evidence that your beliefs are true, either way—positive or negative/. #3 Time value. How you value your time impacts how you spend your time. This is what makes up our day, and where you give your time and attention, what you think deserves time and attention, is sourced from your money mindset. #4 The value of your offer. Someone who deeply values their offer will strive to master it, and with mastery, they can charge premium rates—both the business owner and the customer will easily see its worth. #5 Self-talk. These are the statements you think and say to yourself about money. If these are negative, you’ve kept them so private that other people might be shocked at the things you have judged, criticized, or decided about wealth. Many of us have to overcome money associations tied to greed, unhealthy consequences, and the fear of bad things happening. Negative associations to money are pollutants to your ability to earn it. #6 Self-worth. Finally, what you believe you deserve will either fuel your success or hold you back. Self-worth also plays a role in the relationship you have with money. If you have low self-worth, you’re going to be insecure about your money, jealous of everyone else who has what you think you lack, and you’ll neglect the true needs of the relationships (love, honesty, trust, commitment, and respect). Let me put your inner critic at ease right now; this work works. The formula shared in Profit Breakthrough is NOT magical, and while I love the Law of Attraction, it doesn’t even come into play here. I’m going to show you how our brains are wired to work—this is scientific, but it will feel magical for you when the money appears as a result of the actions you take with me. Moreover, your progress with this material will never end; it will always work better the next time. The second time you go through this course will create better results than the the first time, the third time better still, and so forth. I’m about to send a week-long educational series titled, For the Love of Money: One Week to a Better Relationship with Your Finances. It’s free for everyone on my email list (if you’re not already, sign up is at the bottom of this post). Oh, it’s going to be so good! Sign up below so you won’t miss a beat. Here’s to your most profitable years yet. LOL! I just read my comment and the second sentence might not make sense: I meant I read your post twice, and I’m going to read the post one more time. Thanks Lisa, I’m looking forward to this!